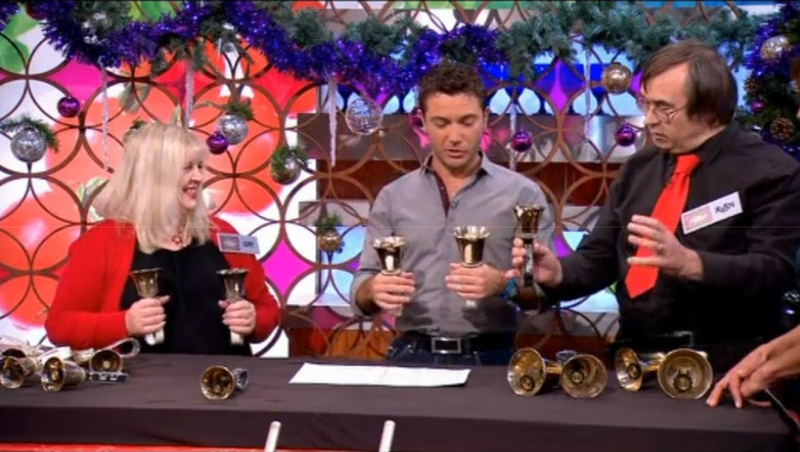 Handbell ringing is a fun activity, which combines physical activity with the joy of making music. It is also great for Team-Building as each bell has its own part to play so each ringer makes an important contribution to a unified piece of music. 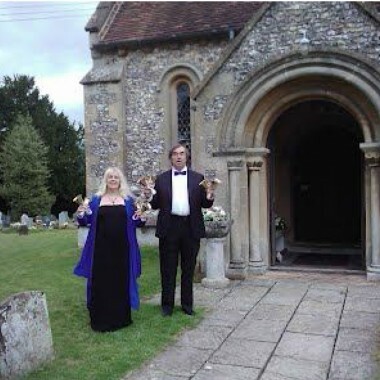 We have extensive experience of teaching handbell ringing at all levels from initial to international, and many people have enjoyed our handbell experience sessions. 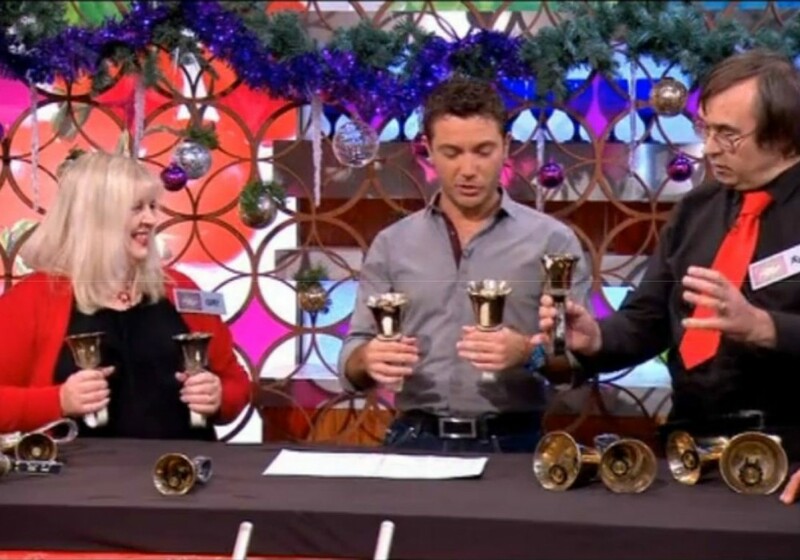 We provide a range of handbell experience and team-building activities ranging from short “have-a-go” sessions following one of our performances or 10-minute energiser sessions to workshops of a couple of hours in which participants work on a piece of music which they can then perform in a mini-concert or a Britain’s Got Talent style contest. We usually work together but can separate to work with two groups concurrently subject to total numbers given below, with the two groups performing to each other afterwards. We also have a wealth of knowledge about handbells and their history and can give lecture/demonstrations with or without a “have-a-go” session. 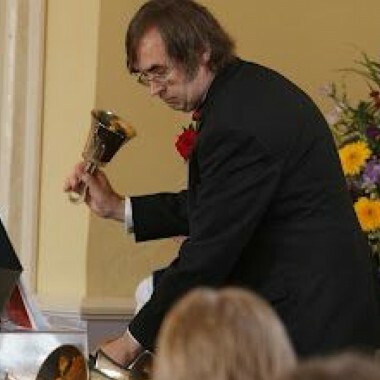 We can ring at any point during weddings: outside the church, during the ceremony or at the reception. 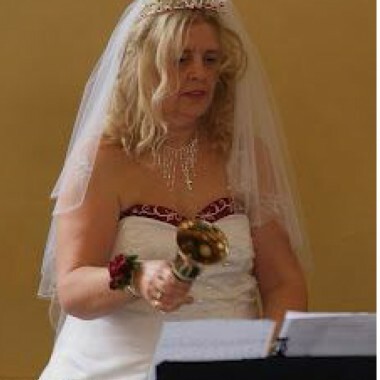 We have rung at a number of weddings, not least our own in 2007!